ALSO Watch On LiveLeak! HERE! All eyes are now on Vladimir Putin whose diplomacy regarding Syria has dramatically changed the way the world works. The Grand Chessboard of global politics is seeing a cunning new player in Putin shifting the balance of power away from Jewish worldwide hegemony. And the all too conspicuous loser in the game is Obama…straw boss of a nation held captive by Zionist forces whose influence has brought devastation to the world and wreckage at home. Putin is ushering in a “multi-polar” world where US-enabled Zionist hegemony is losing its legs. One look at Iraq—a war for Israel pushed by neocon Jews…with daily scenes of mass murders—is proof enough that the Zionist tail wagging the American dog has brought disaster to the Middle East. And if a man is known by the company he keeps—Putin, surrounding himself with Christian hierarchs…Obama, with Jewish Supremacists—then the ‘high ground’ of peacemaking is awarded to Russia’s president. We are now living in a ‘post-Syria’ world where Russia once looked upon as a villain has traded places with America as an honest broker. No one trusts America anymore. Why should they? The same terrorists America’s fighting in Afghanistan it’s arming in Syria. And the difference between the Judaized West weighed against the honesty and reliability of the Christian East—brought to the fore by Putin’s leadership—reveals a waning body politic led by Obama sorely wanting in the balance. Indeed, Putin exposes Obama as a ‘con artist’…he even called Kerry a liar for denying that al-Qaeda in Syria is the opposition’s main fighting force. But due to Putin’s persistent blocking of US aggression in Syria, Assad has come out the winner enjoying the support of ‘his own people’ who America keeps lying to us that he’s ‘warring’ against. And while America’s efforts to monopolize the world’s resources to further the interests of international Jewry, a new balance of power is emerging with Putin at the fulcrum of international swaps and trades. You can divide the world now into two camps: Zionist and Anti-Zionist; Liars and Truth-tellers; Warmongers and Peacemakers. Putin isn’t stupid. He knows who’s at the center of world unrest—Israel and its global bully, America. But a foreign policy based on what’s good for the Jews has shown itself to be not only an utter failure but unable to withstand an opposing leader’s finesse who’s bagged America’s right to rule right before the world’s very eyes. “Blessed are the peacemakers,” is the axiom of the day. Putin’s not only a peace-maker…he’s a game-changer as well! This Video Is Broadcast On Live Leak! Of course, Christ-Crucifying Jews are in the EVIL camp. But the pious Orthodox Christian, Vladimir Putin, (and those many world leaders who agree with him) is in the MORAL camp. We DO indeed have a chance on seeing the DOWNFALL of Global Jewry and Its Strangle Hold on Jewmerica in OUR lifetimes! I Pray to Christ my God and Saviour that He will bring to pass…speedily in our days. Many Thanks To The Few Who Donate To Make It Possible! AND — I’m Making MUCHO Progress on my OWN New Vid Platform! Let’s KEEP a Good Thing Going! Real Jew News Just TOPPED 25 Million Views & My Vids Are Moving UP TO 8 Millions Views. Please Help Me TO Continue These My Articles & Videos. Yes, Obomba is right, the images are sickening but Obomba paid the thugs, murderers, rapists and cannibals who have gassed these people. Obomba is indeed a con artist. Kerry-stein is a useless eater. What a refreshing, new perspective on world events! We’ll have to see how these analyses stand the test of time, but it is good to have such a frank expose admitted into the public concourse of policy discussions. The US so desperately needs to have laid bare some difficult topics. I pray that charity will govern actions forward from such an enlightenment. The coming enlightenment will hopefully accomplish what the former could not because of its internal flaws. The new enlightenment will need to be Christian in character. In that sense, it must be that which is most natural elevated to what is transcendent, sublime and Christ-like. Putin, a true statesman, embarrassed Obama so badly that puppet Obama talked with Iran to try to look like a statesman. Putin is stepping up to reign in our insane leaders. I’m glad to see it, it means a balance of power that may prevent us from starting WW3. I am unable to view the entire video here, at Youtube, or at Liveleak, is there a problem with the video? And it’s about damn time! I received a reply to an email I sent that pus-bag McCain. What a pathological liar! There is NO problem whatsoever with the Video. The dead children that were shown in the picture of the Aug. 21 gassing in Ghouta were, according to some reports, the kidnapped Alawite Syrian children. The children were kidnapped by Al Nustra and murdered by these mercenaries. i believe this is the true story. Also the dead gassed adults photo were those of dead Iraqis and was not from Syria. the US constantly lies and Obama’s nose keeps getting longer. Every war for the last few centuries has been played on both sides by Rothchild bankers. This one will be no different. Putin is playing antithesis and the plan is coming together. WW III has already started and most have missed the obvious plan of allowing the Fukushima triple meltdown to become a “world ender” the depopulation event has begun. The fire of radio isotopes is growing hotter by the month in the Northern Hemisphere. This is all according to plan. Remember “GE, we bring good things to life” adds new hindsight into what their plan was when they designed and installed several of their faulty designed Mark II reactors. In addition there are many ageing Mark II reactors in the US. All it takes to cause a multiple meltdown cascading scenario is a grid down false flag event that could coinside with the Nov. 13 nationwide grid down drill. It should be no wonder that Putin is winning the chess game; the Russian people have always been masters at the game. As for the picture of the dead children, Putin is right. Pictures without a thorough investigation explaining the story behind them proves nothing. The problem with the population of the U.S., they are becoming more illiterate by each passing day. We have become the most dumbed-down generation in history of this nation; despite the ever exploding admissions to higher education. The main stream media is to the American public what kindergarten education are to children: Teachers sharing pictorial stories with their students; not knowing if the teacher is telling the truth or not and accepting it as fact. In other words the American people have lost their sense of analytical abilities. No one questions anything. Kudos to Putin for doing just that. Actually, it was worse than that. They gave that smirking, duplicitous schmuck 29 standing ovations! Putin is definitely a game changer on the world stage, a man with God on his side, or more accurately, Putin is on God’s side (blessed are the peacemakers). All the Zionists have are insults (anti-Semite, racist, etc) and the Amerikan Bolshevik style regime’s war machine. Make no mistake about it, the republic is crumbling and that’s due to it running its course (republics usually have a “shelf life” of 200 years or so), and we are definitely beyond that shelf life. The beast (the Amerikan military) is crumbling however, the government is in debt and, all we need is a liberation of Amerika by Holy Russia to put the icing on the cake. We are already in WWIII, it is being mainly fought in the Mideast, via proxy. The anti-Zionists and Zionist forces are the ones at war. Amerika went crying like a baby when Bashar Assad declared that he would follow a Russia-USA (with Amerika crossing her fingers and saying Kol Nidre). It’s a slap in the face to the Zionists, who Elder Paisios of Mount Athos said would gain a foothold in a Zionist dictatorship in 1993. Saint Joseph of Arimathea pray to God for us! I agree with Bro Nathaneal — Mr. Putin has the upper hand in the M.E. Besides moving Russia into the Christian world and keeping it there, Mr. Putin has been representing calm, facts, and moderation of response in his area of the world. And he doesn’t grandstand like other world leaders. How refreshing! Mr. Putin is no choir boy. He has, and is probably now doing, some objectionable things, but then what nation doesn’t. However, I’ve noticed a change in Mr. Putin — for the better. Now I believe Mr. Putin knows he has the opportunity to put Russia into being a world leader and himself into the most trustworthy leader of all. Putin Rocks, he is the JFK of the 21st century to the International banksters, Israel and their Global Bully the US! Iran talking diplomacy now along with Syria will be driving the Zionist elites absoluely crazy. In desperation they might get their controlled assets at Mossad, CIA, Al-Qaida etc. to unleash a wave of false flag terror attacks, mini nukes or something to be blamed on Iran around the place. The MSM pushing fear levels through the roof, to usher in martial law conditions and full Zionist control to attack Iran, Syria, Lebanon and the rest of their one World Government NWO agenda targets of the BRICS nations with WW3, which will only iead to nuclear catastrophe. I’m sure Russia and China fear this possible scenario, amongst others in the Zionist banksters final pursuit of Global Government by destabilizing the world, for them to end up controlling it, without a nuclear armageddon. No chance, it would take a secret weapon of horrifying consequences to avoid a nuclear showdown? Unless they allow a non partisan UN-biased team of experts to do the investigation…assume its a fraud. Much like the US doctor who performed autopsies..on 1000 bodies if not mistaken…. on alleged Nazi gassing victims and did not find one single case of gassing…yet the myth lives on. FeinSwine and the rest of the dual-citizen traitors are now moving on your 1st Amendment Right to Freedom of Speech. They are upset because their Sandy Hook PSYOP and other Influence Operations didn’t succeed in destroying the 2nd Amendment. This will quickly be followed by Government “Licensing.” This will mean that you will no longer be able to speak out and report on issues. This is such a heinous development that it’s almost beyond word. Can you get our global leaders to perform in a live puppet show? Nobody cares about strings anymore, people might think its real. Bully is right! The United States is the biggest, meanest, and ugliest bully in the world. All the US is, is bullies backing up bullies, up and down chains of command. The country can and will be broken because it is an offense before God. Americans are dummied down by Zionist-ruined public education (aka child abuse) and fluoridated water (tap water is not kosher!). Zionist Stalin found he could reduce his gulag guard requirement by 75% if the prisoners were fed fluoride poison, which “calmed” them. Every water municipality in the USA has fluoride additive equipment, even though it should be up to Americans as to whether they want to dose themselves with dental-fluoride in toothpastes and rinses. Nobody in Congress touches the fluoride issue, it’s controlled. Plus now Congress has allowed DOW to spray fluoride pesticides directly on foods (Section 449 of the House Subcommittee draft of the Fiscal Year 1014 Interior and Environmental Appropriations Act). Fluoride above tiny trace levels, makes people sick. Can’t distill your pancake mix, but you can distill your tap water and you can buy organic. It’s not hard to distill your drinking and cooking water, just use a long arched tube off of a tea kettle to cool the condensate; consider tap water to be Zionist-gray-wash-water. Adding in cell phone microwave towers, antennae, phones, smart meters (which are everywhere and they’re putting up stealth low-altitude, people-altitude, towers by the thousands), which functions with MW RF (microwave radiofrequency) which has been proven in studies to turn rat brains into Swiss cheese and lowers their intellectual functioning…it’s a wonder we’re not all a bunch of sloven drooling zombies. Brilliant and beautiful video, and touches my heart seeing that ephereal and eternal special effect with the Orthodox cross. I pray for Putin everyday, along with al-Assad and the Syrian people. I am all for destroying Jewish hegemony over America, first of all by putting curb bits on AIPAC and the ADL, and forcing AIPAC and the federated tentacles of the World Zionist Organization to register as foreign agents. Monarchy or not, I wouldn’t wish the brutal, oppressive, corrupt and decadent British, American and Israeli-backed, pro-Zionist puppet Mohammad Reza Pahlavi regime, the notorious SAVAK secret police, and his carnival of graft and corruption on my worst enemies. And the fact that the Neocon Jews consistently support his son and family, and assist with expunging his criminality and “rehabilitating” Shah Pahlavi’s legacy as Islamic propaganda and who are major voices against Tehran and the Islamic Republic of Iran, does not endear the Palavi family to me. Reza Shah, Pahlavi’s father, particularly tight with the British, was the first Iranian monarch after 1400 years that paid respect to the Jews by praying to the Torah and bowing in front of it, when visiting the Jewish community of Isfahan. This act boosted the self-esteem of the Iranian Jews and made Reza Shah the second most respected Iranian leader after Cyrus the Great. This of course earned him the favor of International Jewry, especially British Jewry. As far as I’m concerned, if the Islamic regime is accused of creating a society of fear, those in power prior to 1979 planted the seeds, cultivated them, and brought them to fruition long before. Mohammed Reza Pahlavi was a puppet king brought back to the Peacock Throne by a CIA backed coup in 1953 against the popularly elected nationalist Mohammed Mosaddeq and lacked popularity. Very few people understand why the American Embassy in Tehran was overrun and occupied on November 4, 1979. One reason was the fear of another CIA-engineered coup d’etat like the one perpetrated in 1953 from the very same embassy. Another reason was the admission of the deposed Shah into the United States for medical treatment and asylum rather than extradition to Iran to face charges and trial for his quarter century of crimes against the Iranian people, bankrolled and supported by the U.S. government. “The Shah’s Organisation of Intelligence and National Security, known by its Farsi acronym SAVAK, acted as the dictator’s personal secret police force, was tasked with suppressing dissent and opposition to the monarchy. “Created in 1957 with the help of American and Israeli intelligence agents, the SAVAK grew in size and brutality and, as journalist Marsha Cohen points out, included “thousands of informers, censorship, arbitrary arrest and imprisonment, and widespread torture and assassination of political opponents. Capitulation was a privilege known for some foreign citizens giving them total immunity from trial in Iran. During the Qajar dynasty of the 19th and early 20th centuries, Russians and British were at the top of the list of citizens who enjoyed the right of capitulation, a privilege known for some foreign citizens giving them total immunity from trial in Iran. It was overthrown in 1928, but partially restored in the 1960s under Pahlavi. Foreigners could operate and commit crimes in Iran with near impunity. “Raviv and Melman assert that following Khomeini’s death, in the early 1990s, Iran renewed its atomic bomb-building program, aided by Russia, China, and “above all from Pakistan’s notorious nuclear traveling salesman, Abdul Qader Khan” and that the “Israeli intelligence and the defense ministry did not perceive Iran as a threat” at that point. “Manbar was brought to Israel and tried in 1997. A gag order and military censorship prevented any mention of the case in the Israeli media. In 1967 Mohammed Reza Pahlavi crowned himself as Shahanshah or King of the Kings (Emperor of Iran) and his third wife, Farah Diba, as Shahbanu (Empress), which caused major discontent amongst different levels of society. Reza Pahlavi II is the last crown prince of the former Imperial State of Iran and current head of the House of Pahlavi, the older son of the late Shah Pahlavi and Shahbanu Farah Pahlavi. According to the Persian Constitution of 1906, he is the heir to the Persian throne. Where did the moneyed Jews of Tehran flee to over three decades ago in the wake of the Iranian Revolution? Many wound up in Los Angeles as “the Persians of Beverley Hills” — the fabulously wealthy Jewish elite have political clout of their own. Stupendous celebrations marking 2,500 years of monarchy were staged at Persepolis by Shah Mohammed Reza Pahlavi in the early ’70s with millions of dollars of the people’s money. Heads of state, idle royals, and the elites of the rich and famous attended and consumed tons of caviar at the ludicrously lavish parties. Many Iranians were hungry and most villages lacked water, electricity, and sanitation. Illiteracy under the Shah’s “reforms” ran upwards of 75%. The “1,000 family” oligarchy held a million peasant families in virtual serfdom. Iran’s peasant majority, almost totally illiterate, remained largely unaware of the struggle between the middle class and the aristocrats in the ’60s. A rising middle class began assailing the country’s ancient feudal structure, and the wealthy landowning aristocracy resisted reform. The upper class of landowners, generals, members of the court, and rich merchants were little interested in changing the status quo. The royal family and their close associates plundered the wealth of the country. When the accusation was made that Pahlavi regime going into exile made away with billions of dollars, last year, former Empress Farah Pahlavi appeared on a London-based satellite station framed for Iranian viewing and asserted that the shah did not, as his detractors have it, spirit untold billions out of the country. Changes in Iranian society during the reign of the Pahlavi dynasty was unsubstantial and merely lipstick for the most part. On June, 29, 1963 The Iranian Ministry of Foreign affairs was ordered to keep relations with Israel secret and not to publish any related news or reports about Iran-Israel relations at the media. This decision was taken 3 days after Shah announced in an interview on July, 23, 1960 that Iran-Israel relations date back to its formation. This announcement created outrage among Arab countries especially Egypt. On March, 14, 1950, Iran recognized the state of Israel; as De Facto, one year after its creation during Saed government. But Dr. Mosaddegh cut ties with Israel on July, 7, 1951, knowing that the Zionist state was a tool of the British government against nations in the Middle East. The British embassy and officials were evicted from Iran in October 1952. After the CIA backed coup of 1953, diplomatic relations with Britain and her illegitimate child re-started and Mohammad Reza Shah entered a close relationship with Israel, especially in terms of weapons and intelligence. Iran purchased a $500,000,000 worth of arms from Israel per year and exported petroleum even at the time of OPEC embargo. Iranians were sensitive towards the Palestinian issue. Israel was known for apartheid and discrimination against native residents of Palestine. Therefore Shah wanted to keep their relations secret. On Feb, 19, 1979, only a week after the Islamic Revolution, in its first official response to the issue, the Revolutionary interim government stated that Iran-Israel relations were to be cut completely. Imam Khomeini declared every last Friday of Ramazan as the Qods Day in support of oppressed Palestinians. The Israel embassy was shut down and it was dedicated as the Palestinian embassy. Iran’s support for Palestinian resistance groups and Lebanese Hezbollah and close ties with Syria are parts of her official long-term policy that has resulted in pressure from US and its satellite countries. This is a masterpiece and linked below is MUST reading for all Putin fans…. IF YOU THINK PUTIN IS A ‘COMMIE THUG’, THINK AGAIN! Russia, China, and Iran led by Putin are too smart to deal with Obama. They know he is a Zionist puppet and that is why the leader of Iran did not meet with Obama at the UN meeting this week. The world stage is now being shifted and the Zionists are being cornered. Look for the US becoming a third world nation in the future and as the Bible says in the last days look for the world to go after Zionist Israel. Only after that time will our Lord Jesus come back. With the growing enmity between Israel and Iran and the Israeli concerns about Iran potentially acquiring a nuclear bomb, it seems unimaginable that just a few decades ago thousands of Israelis lived the dolce vita in Tehran, forging economic and military ties with the Shah’s regime and perhaps even contributing to Iran’s nuclear program. Although Iran opposed the UN Partition plan for Palestine, supporting instead the establishment of a single federal state, Iran and Israel maintained a precarious alliance after the State of Israel was established in 1948 and until the Iranian Revolution and the fall of the Shah Mohammad Reza Pahlavi in 1979. Though divided by religion, Iran and Israel had a lot in common culturally and geopolitically. Both countries viewed themselves as proud heirs to ancient civilizations that long preceded Islam and that had been intimately intertwined since biblical times. Also, both countries like to define themselves as non-Arab states in the mostly Arab Middle East. As Trita Parsi argues in Treacherous Alliance. The Secret Dealings of Israel, Iran and the U.S. (2007, Yale University Press, p. 5-7), both Israelis and Iranians “tend to view themselves as somewhat superior to their Arab neighbors”. Israel viewed Iran as a natural ally due to its non-Arab status on the edge of the Arab world, in accordance with David Ben-Gurion’s concept of an alliance of the periphery, a foreign policy concept that dominated Israeli strategic thinking until the end of the Cold War. Turkey and Ethiopia, as well as non-Arab minorities, such as the Kurds and the Lebanese Christians, were also considered Israel’s natural allies under this doctrine. From the Iranian perspective, Israel was “a sort of lightning rod toward which the militant Arabs may turn instead of against Iran” (Robert B. Reppa, Sr. Israel and Iran. Bilateral Relationships and Effect on the Indian Ocean Basin, 1975, New York: Praeger Publishers, p. 73). Especially after the Six Day War in 1967, Israel was also viewed by Iran as a regional power better befriended than alienated. Yet at the same time, Iran’s relationship with the Jewish state proved to be a difficult balancing act for the Shah because if he were to officially recognize Israel or publicly exhibit too much support for it, “part of that Arab wrath would fall on Iran” (Parsi, p. 20). Because Iran was thus forced to tread a fine line between overt hostility and overt alliance, much of the dealings between the two countries were kept secret, sometimes even from the United States. “Israel built a lot of things for the Iranians that we did not know about,” former Assistant Secretary of State for Near Eastern Affairs Harold Saunders once said (Parsi, p. 76). Since Iran never officially recognized the State of Israel — although Israel was accorded a de facto recognition — diplomatic relations were conducted through unofficial missions. Iranian records listed six diplomats manning Iran’s secret mission in Israel as serving in Bern, Switzerland. The Iranian embassy in Israel was thus referred to as “Bern 2” in Iranian Foreign Ministry documents (Parsi, p. 26). The visits of Iranian officials to Israel were likewise concealed by travel via Turkey and by not having their passports stamped upon arrival in Tel Aviv, thus ensuring that their “travel logs listed only a visit to Turkey and no trace of the Israel leg of the trip” (Parsi, p. 26). Iran’s dreaded secret police, SAVAK, was given responsibility for Israeli relations to maintain the smokescreen. Beginning in 1957, the Iranian intelligence service established relations with its Israeli counterpart, the Mossad, often keeping the Iranian Foreign Ministry in the dark. The two secret services shared their knowledge and expertise; according to more controversial reports, the interactions between them went as far as “the Mossad also train[ing] the Savak in torture and investigative techniques” (see Parsi, p. 26). As Israel’s economy and fuel demand grew, Iran became its chief supplier of oil, as Arab producers refused to sell. Initially, the Iranian oil was shipped to the port of Eilat on the Gulf of Aqaba and then transported by road tankers to refineries in Haifa for subsequent distribution. Later, Israel constructed the Eilat-Ashkelon, or Trans-Israel, pipeline for this purpose (see Daniel Ammann, The King of Oil: The Secret Lives of Marc Rich, 2009, New York: St. Martin’s Press and Trita Parsi, Treacherous Alliance. The Secret Dealings of Israel, Iran and the U.S., pp. 23-24). Initially an eight-inch pipeline, but later upgraded to a sixteen-inches, this 160-mile long conduit between Eilat and Ashkelon on the Mediterranean Sea was used not only to move oil for Israeli consumption but also to ship Iranian oil to European markets, bypassing the strategically vulnerable Suez Canal. “Though neither Iran nor Israel acknowledged the oil trade or the pipeline cooperation, their relationship was an open secret and the subject of intense Arab criticism”, Parsi writes (p. 23). Although Iran continued to supply oil to Israel during the Yom-Kippur War 40 years ago, the pipeline’s usefulness in circumventing territory controlled by Egypt’s anti-Iranian government subsequently diminished. From 1967 to 1979, Israel and Iran traded other goods besides oil, including Israeli fruit. In the years leading up to the Islamic revolution, the Iranians enjoyed more than 40 tons a year of “Zionist” oranges. Israeli agricultural specialists, construction firms, and engineers working in Iran made a significant contribution to its fast-paced modernization and infrastructure development. The arid and uninviting climate and terrain in both countries opened opportunities for extensive cooperation in agriculture, particularly irrigation. In 1963, Israeli firms were able to tender the successful bid for Iran’s proposal to develop its Qazvin area (Reppa, p. 98), not far from the capital Tehran. Qazvin at the time was mostly inhabited by impoverished farmers whose situation further deteriorated after an earthquake in 1962. An Israeli company won the development contract for 123,500 acres (or 500 square kilometers) of land. As a result of Israeli-built irrigation infrastructure, the farmers in Qazvin were induced to grow various cash crops, such as grapes, hazelnuts, pistachios, almonds, walnuts, olives, apples, wheat, barley, sugar beets, pomegranates, and figs, in high demand in populous Tehran. This switch to cash crops increased average annual income of Qazvin farmers more than ten-fold. According to Arieh Eliav, former Israeli labor minister, cited by Parsi (p. 24), Israel also trained some 10,000 Iranian agricultural experts. Israel was also instrumental in developing Iran’s tourist industry. Iranian-Israeli military links were also wide-ranging yet highly controversial even at the time. One such project, known as Project Flower and described in detail in Parsi’s book (pp. 74-77), was a collaborative Israeli-Iranian effort to reproduce American-designed missiles with Israeli-made parts that could be assembled in Iran. After Iraq purchased Scud missiles from the Soviet Union and the Carter administration denied Iran’s request to buy Pershing missiles from the US, the Shah instructed General Hassan Toufanian to turn to the Israelis for missile technology. Israel responded by offering a collaborative project that would use Iranian funds and Israeli know-how to develop a ballistic missile that could ultimately protect Iran from the threat of both Saddam Hussein and Moscow. The Shah and the then-Defense Minister (and now President of Israel) Shimon Peres signed an agreement in April 1977 in Tehran, together with other oil-for-arms contracts totalling $1 billion. The ultimate goal was to build a missile that could be fitted with a nuclear warhead and that could be launched from a submarine with further modifications. Besides getting Iranian funds to advance its military research and development, Israel also hoped that this project would serve as an example for other countries in the region of the benefits that could be realized from cooperation with, and acceptance of, Israel. In 1978, Iran supplied Israel with $280 million worth of oil as a down payment. Israel began the construction of a missile assembly facility near Sirjan in south-central Iran and a missile test range near Rafsanjan. When Shah Pahlavi was overthrown in February 1979, Project Flower came to a screeching halt, as did other collaborative projects between the two countries. The Israeli engineers and defense officials returned to Israel and all the blueprints and diagrams of the weapons systems were sent back via diplomatic couriers. It is still uncertain whether Israel provided Iran with the actual designs for cutting-edge missile systems or instead merely delivered outdated technologies. Either way, the money from the deal helped Israel develop its state-of-the-art weaponry systems. During the quarter-century reign of Mohammad Reza Pahlavi as Iran’s Shah, the source he had of staying in power was because of all the trouble that London and Washington and Tel Aviv had gone to in order to put him in power in the first place. Palavi’s vicious MOSSAD/CIA/MI6 trained SAVAK numbered some 60,000 agents. The Mossad enjoyed a free hand under the super-secret Israel-Iran “marriage of convenience” and was very cozily entrenched within it. We can count on Mossad to have played their perfidous double and triple games of “friendly espionage” against the US, at the same time partnered with the CIA and MI6 and their British-American hands in the Iranian petroleum game. “Then one must look upon potential reformers with a sceptical eye. In the Western media, a reformer is anyone who wants to change, or better still, get rid of Ayatollah Khamenei’s theocracy. “This includes all kinds of supporters of the former Shah, and those who want to convert Iran, like Turkey and post-Saddam Iraq, into an Iranian Republic. “The type of people we are talking about here are former members or supporters of the Shah’s dreaded regime, its secret police Savak, retired military veterans, and agents overseas. Many of these people have a long history, starting with the Anglo-American overthrow of Mohammed Mossadeq back 1953, of working with Iran’s external enemies, especially CIA, MI6, and the Mossad, and one can understand why the Council of Guardians would be so demanding about the loyalty of prospective candidates. Many of the reformers want the state-owned oil industry restored once again to British and American private hands. It was because of the help these intelligence agencies gave supporters of the Shah that the Iraq-Iran War was fought to restore him to power, Saddam Hussein was supplied with all kinds of WMD, and shown how to use them against Iranians, Shites, and Kurds in the hope of ending the mullahs’ rule, and the USS Vincennes shot down an Iranian airliner in 1989 to help force Iran to honor the peace treaty with Iraq. When it comes to Iran, Israhell wants their Gentile Japhethite colony back — their Iranian Shangri-la, and will push and push to get America to go to war. Brother Nathanael’s videos are probably the best current truth issues on this planet. Anyone who doesn’t agree is simply…a fool. Yes, sure the Jews are the main enemies of the cross. They are the ones who weakened the Catholic church, which is the only truth, by infiltrating it with satanist freemasons thus it plays along with the Jews’ plan. All the rest is but lie and deception: democracy, french revolution, egalitarism, COMMUNISM, humanitarism. But most people really like communism, especially minority groups among Christian white nations. Also many, many White natives like communism and hate God. That is it: Most people hate God now a days. Funny thing, consensus reality is… It’s not ever permanent. Truth is unchanging and therefore truth is imperishable, unlike consensus reality. Consensus reality is an indulgence, where truth is only recognized and accepted. So, be in the world but not of it, for it’s all passing. These politicians will only let you down. If nothing else, they vanish and leave you hanging. Putin’s description of bodies is spot on. I have argued with several WW II vets who say he knows the holocaust happened because he was there! I said so you saw them gassing Jews? No, he said, likewise to many other questions. What the Army did was show them bodies and told them the Nazis did it! Some proof that. The description of children “foaming at the mouth” is inconsistent with Sarin gas, but is the cardinal sign of oral cyanide poisoning. Maybe some hungry children were offered some spiked ice cream. Plus Sarin hangs around for 6 hours or more, and none of the aid workers have on protective gear for this to be a real scenario. I don’t think Putin outmaneuvered Obama, because I don’t think Obama really wanted to attack Syria. He did, however, have to pretend he wanted this because he knew he’d probably be murdered or thrown out of office if he resisted his lizard alien overlords… uhm… Jewish puppet masters. I say this because Obama is very smart. He’s also very PASSIVE AGGRESSIVE. And I *think* I can tell by now when he’s dragging his feet. Combined all that with his rapprochement with Iran and my case looks stronger. I’d give it 60%. A little better than even. A fabulous bunch of comments to this video. Many off topic which I usually hate but I found all of these informative. Putin is a hero of the people and I hope he can gain the international respect he deserves. Muslims, as Bro Nat has stated, are not the genuine religion. I was brought up Christian. Your parents teach you nothing so I soon got over that. I believe I was fourteen when I found out that Christianity I knew was a joke. Yet, I believe in Brother Nathanael. He turns my thoughts into the works I cannot do but he can thru absolute fearlessness. I am useless. My parents told me so. So I blame it on the Jews? Not at all. I believe my upbringing gave me clearer vision of the filth that this life embraces. Accept the filth but never embrace it. I cut some of my stories short but I did not want to write a book. Yes I did! Are these elites or whatever name they go by — are they going to cause any World War 3 scenario? Or is the independent media exposing these greedy bastards? Let’s hope Putin stops any worldwide war that fulfills the manifesto of the Georgian Guide Stones. “I don’t think Putin outmaneuvered Obama, because I don’t think Obama really wanted to attack Syria. Except what you forget is your own statement that he is under the watchful eye of clever overlords, reptilian, ZioJew, or otherwise. If you noticed his feet dragging, they would surely have noticed that, as well as his previous tendencies and evidences of foot-dragging. So odd that he should be allowed to drag his feet, unless his overlords want him to. 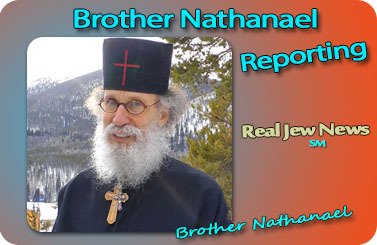 Brother Nathanael, I must commend you again, for your inspiring articles. You add much needed light to the darkness that surrounds this country and much of the world. Unlike Barry Soetoro, aka Obama, Vladimir Putin doesn’t need to put on pretenses of leadership; he already is a leader. He brings honesty, courage, and integrity to the forefront in his dealings with other world leaders. His strong support of Syria’s President Bashar al-Assad and the Syrian people is also support for that nation’s minority Christian communities, which have existed for nearly 2,000 years. St. Paul of Tarsus was born and raised in Syria which, at that time, was part of the Roman Empire. I am sure you would be greatly welcomed in Russia if you were financially able to go, as you follow in Jesus’ footsteps daily. There is a special place in Heaven specially prepared for courageous people such as you. My prayers go out to you and all others like you, that you will be protected from the vicious threats heaped upon you on a daily basis from Organized Jewry. May our Lord and Savior, Jesus Christ, keep you safe from all harm, as you go about your daily business of Evangelism. Sending missiles across the top of the Russian navy sitting of the Syrian coast, on high alert, would have led the Russians to engage the U.S. navy ships where the weapons came from. It was not this only, this on its own would not make mad dog back off. Its not over yet, foolish to believe it is. Other measures exist to weaken the mad dog. One day Putin will go — then what? The Germans lost from within. So many traitors, then Adolf himself, could he have made a bigger mistake than he did? It was like someone was paying him to lose. Germany would win the war if the right people were allowed to implement it, not the fool Hitler. Hi, I enjoyed the vid, another great one as always. I liked how Putin was critically thinking there and not jumping to conclusions.